Get 500HP from your Golf R without breaking the bank, or your engine. It’s not so long ago that if you wanted a 500bhp Golf, you needed to spend big money on a forged engine and big turbo set-up. But with the launch of the Mk7 Golf R, everything changed. The Gen3 2.0 TSI EA888 unit responds so well to tuning, that it’s now possible to create a big-power Golf, without the need to open up the engine. The time and money savings make this a very attractive proposition. 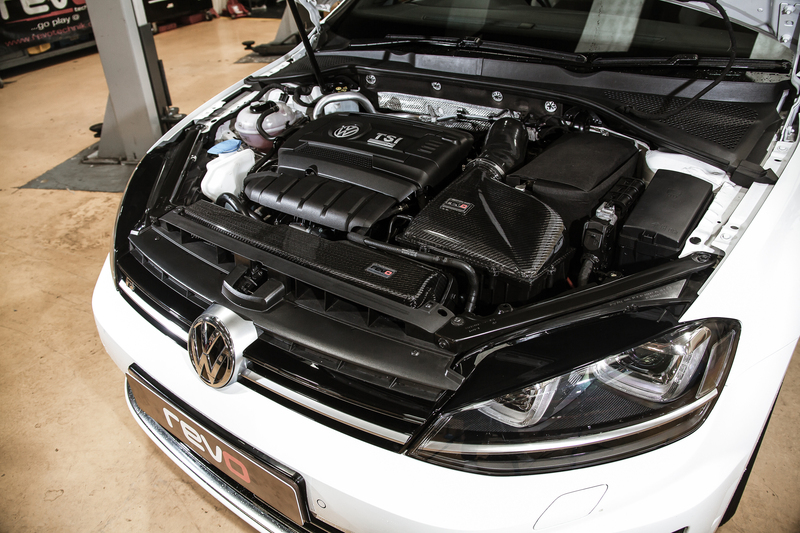 To find out just how easy it is to transform a stock Golf R into a 500bhp weapon, we joined Revo at their UK HQ as they installed their brand new IS38ETR Power Package to a customer’s car. The IS38ETR package will fit other MQB cars with the Gen3 EA888 engine, including, the Golf Mk7 GTI, Audi S3 (8V), Audi TT/TTS (8S), SEAT Leon Cupra (5F), Skoda Octavia vRS (Mk3) and Skoda Superb 2.0 TSI. It’s been developed to install as a full drive-in drive-out package, which is available from any Revo Authorised Dealer. Rigorously tested over the last two years, the IS38ETR power package is complemented by Revo ECU and TCU software, which has been calibrated to work in harmony with the IS38ETR, a turbo-back exhaust system and a few hardware upgrades. One of the main benefits of the Revo package of upgrades is that you get access to software and hardware that’s been specifically developed to work together. 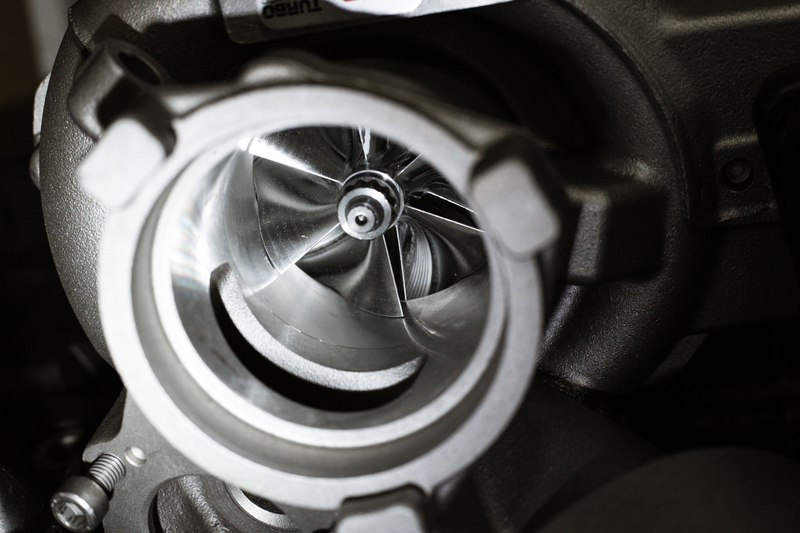 It’s all well and good having a more efficient turbo and supporting upgrades, but unless you can harness that power with performance software, you’ll never get the drivability that’s so important to go with the extra power and torque. Calibrated to work in harmony with the IS38ETR turbo, Revo ECU and TCU software is the key to unlocking the new performance potential of the hardware upgrades. 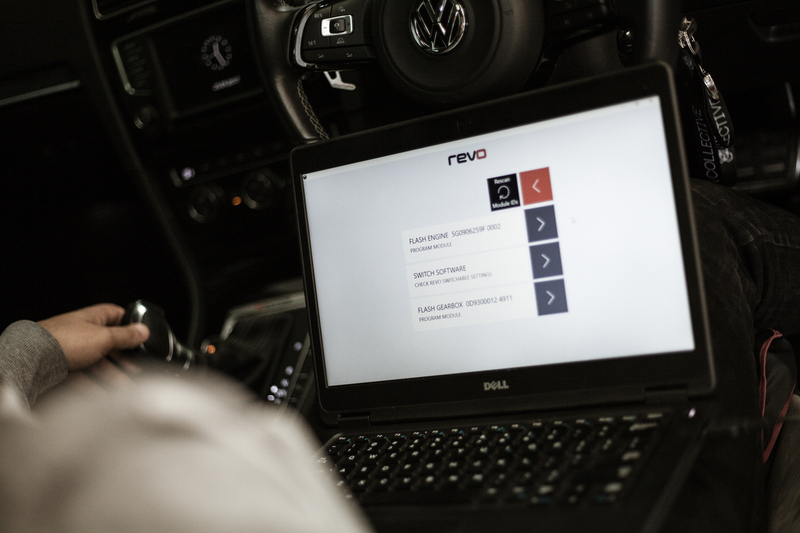 The package has been thoroughly tested on over 80 cars around the world through Revo’s Global Development Programme. This is why Revo are confident that it makes the power claimed; wherever you happen to live. 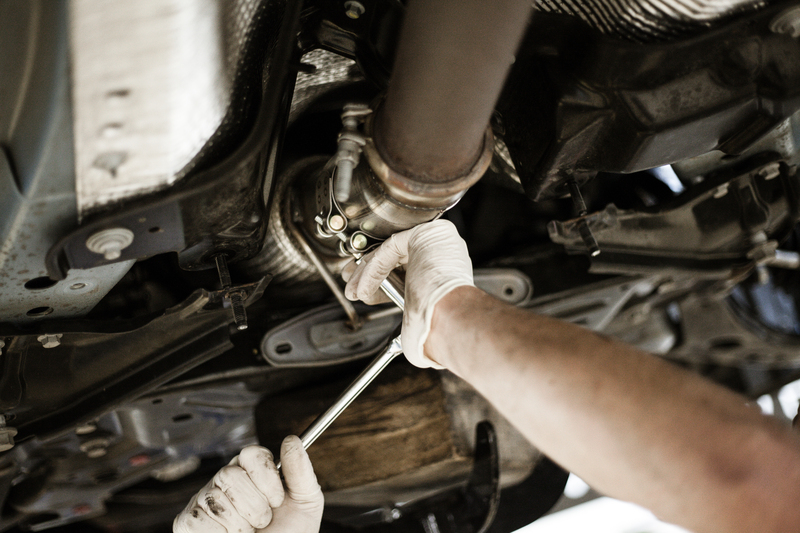 Rather than a step-by-step fitting guide, part 1 of this post is an overview of what’s involved – followed by the all-important road test. After all, it’s one thing talking numbers, but it’s how a car actually performs that really matters – something that’s key to Revo’s development ethos. The installation was completed over two days, but Revo suggest it can be done in a day-and-a-half. The time consuming parts are swapping out the turbo and the intercooler. 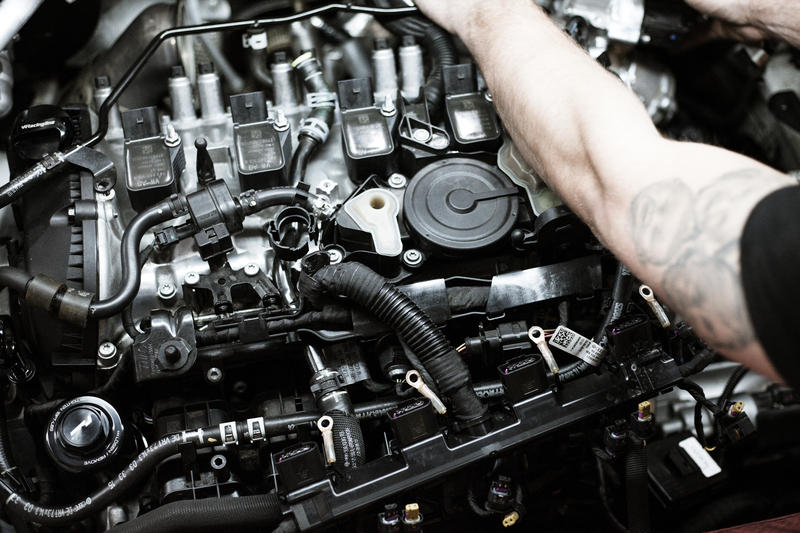 To gain access to the turbo, which sits at the back of the 2.0 TSI engine, the air inlet system must be removed (handy as this is also being upgraded) before the front sub frame and prop shaft are dropped to allow removal of the downpipe. The good news is that once everything has been done and the OEM turbo removed, the Revo IS38ETR unit bolts straight in with no modifications necessary. Then it’s a case of fitting everything back together. As already mentioned, the stock air inlet has been removed, which means fitting the Revo Carbon Series air intake system was simple. With the new turbo and air intake installed, it’s time to move on to the exhaust system. 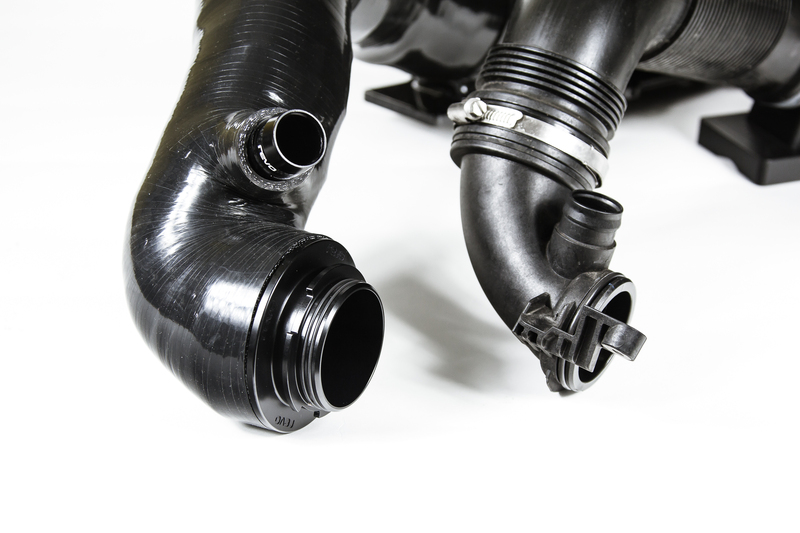 The IS38ETR turbo requires an uprated downpipe with sports cat, plus high-flow exhaust system. The owner of this R has supplied a full turbo-back exhaust, which it has to be said looks stunning. Highly polished with intricate welds, it looks very high-end and includes the adjustable valve set-up. This isn’t a driveway job, you need a Revo Authorised Dealer. Getting at the OEM intercooler is not straightforward. You have to pretty much remove the entire front of the Golf to gain access to the cooler. It begins with removing the front bumper and progresses to the headlights, followed by the crash bar. There are many clips and wiring harnesses to undo before a pile of expensive Golf R parts are carefully placed on the workshop floor. Like watching a loved one in major surgery, you’re probably best off not seeing this part! 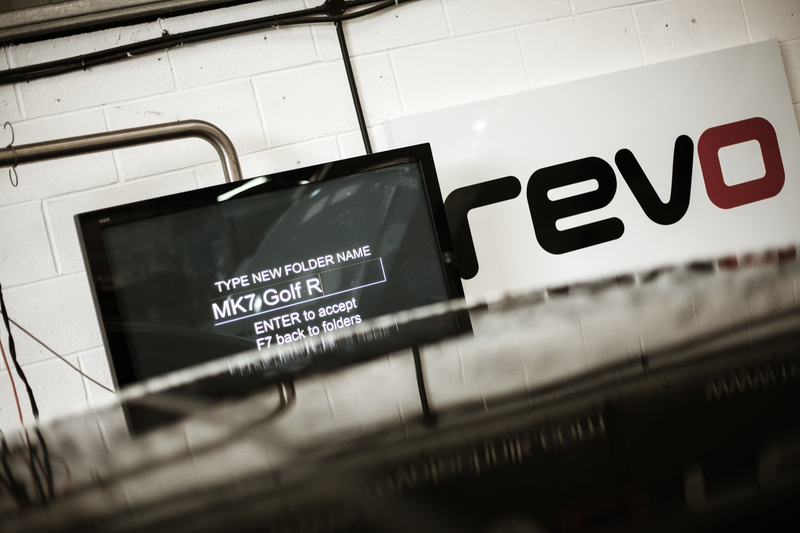 Still, it’s an essential part of the process and with a highly experienced and skilled Revo technician on the case, the Golf is in very good hands. 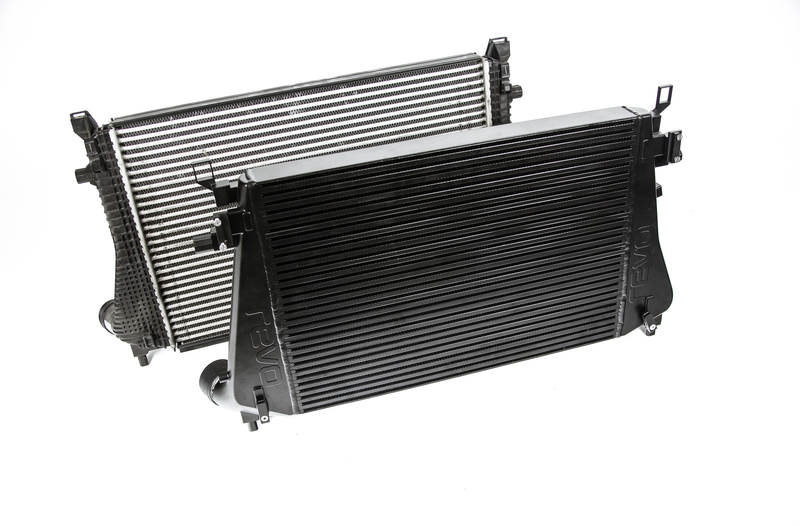 With the stock ’cooler removed, it’s a good opportunity to compare it with the Revo intercooler. 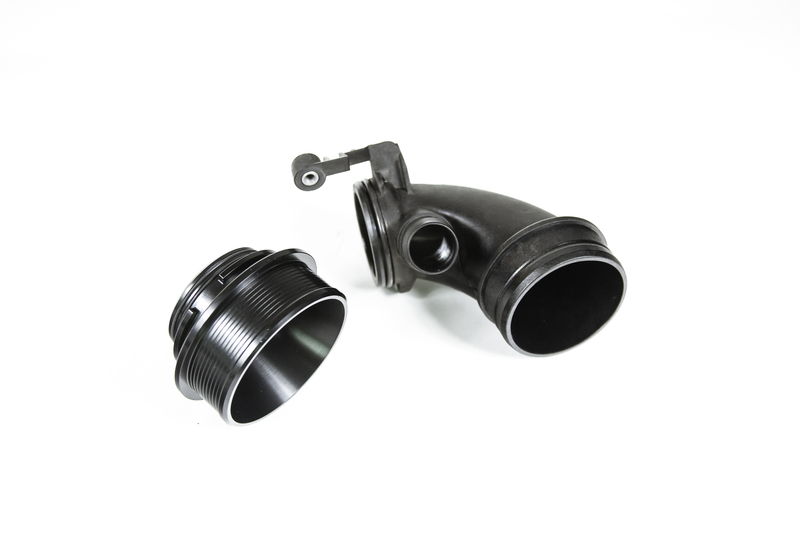 The OEM item is very light and insubstantial, whereas the Revo unit feels very solid. 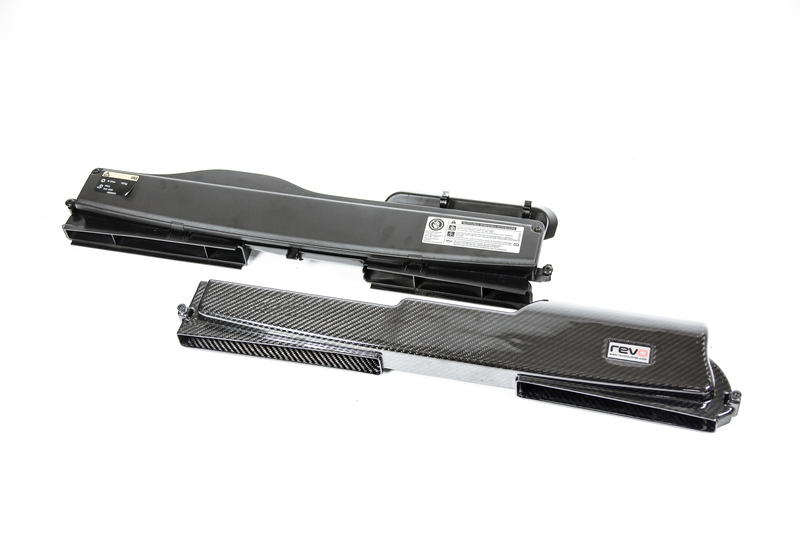 With 51% more volume it’s much larger and is designed to flow more air through its bar and plate core, but with cast end tanks and finished in smart black, it looks and feels like a quality part. 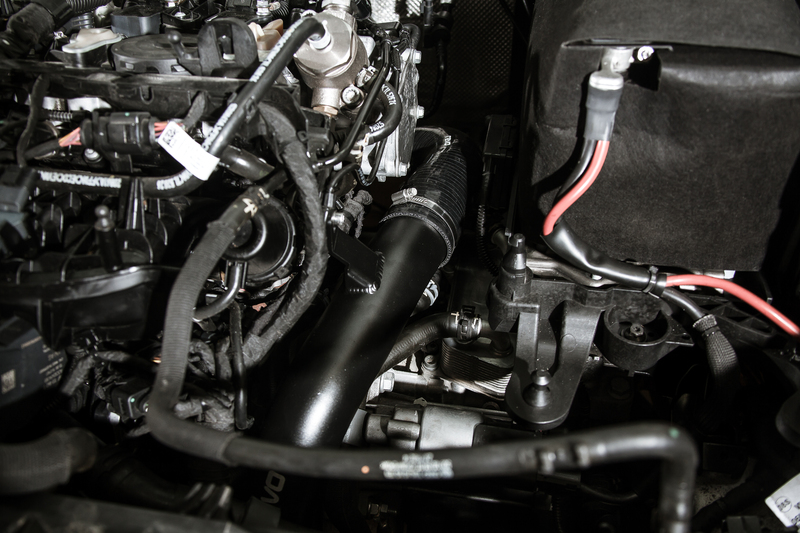 The Revo Intercooler pipe upgrade kit is a must when running stage 3 power. 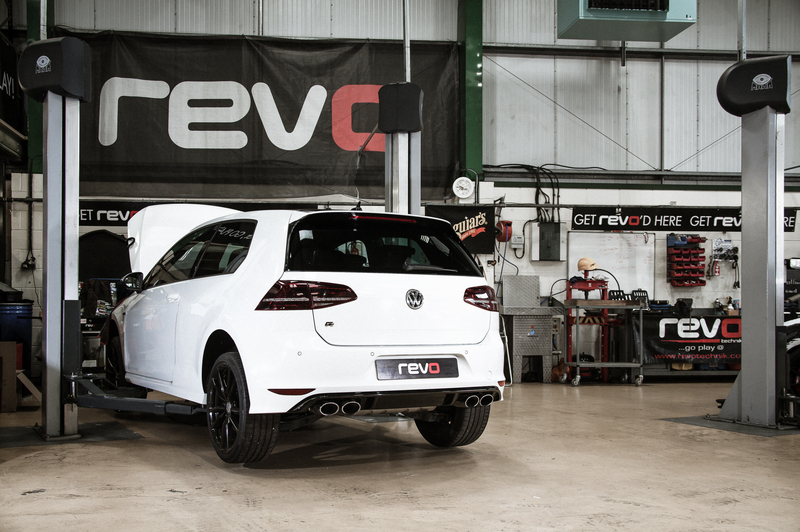 During testing Revo noted up to +27HP & 50NM against the stock pipework. 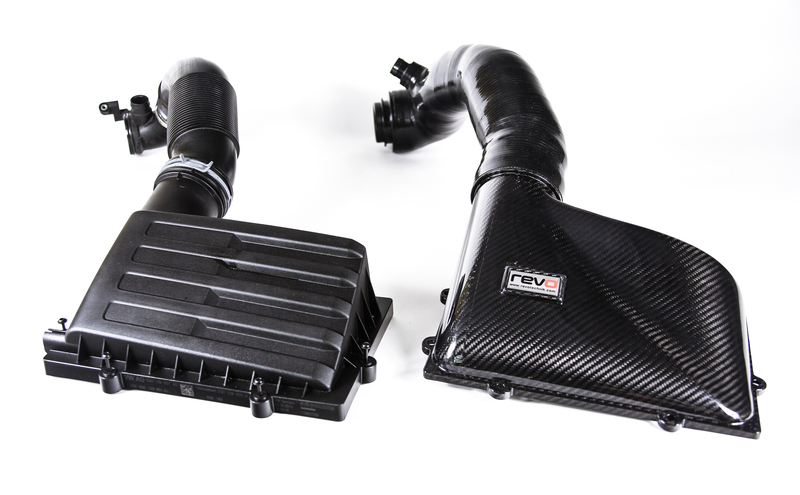 As with the turbo, the Revo intercooler and Pipe Upgrade Kit has been designed to directly replace the restrictive and lower budget OEM items. Again, most of this will be hidden, but it does its job feeding the 2.0 TSI with cooler air – essential with a big power forced induction unit like this. 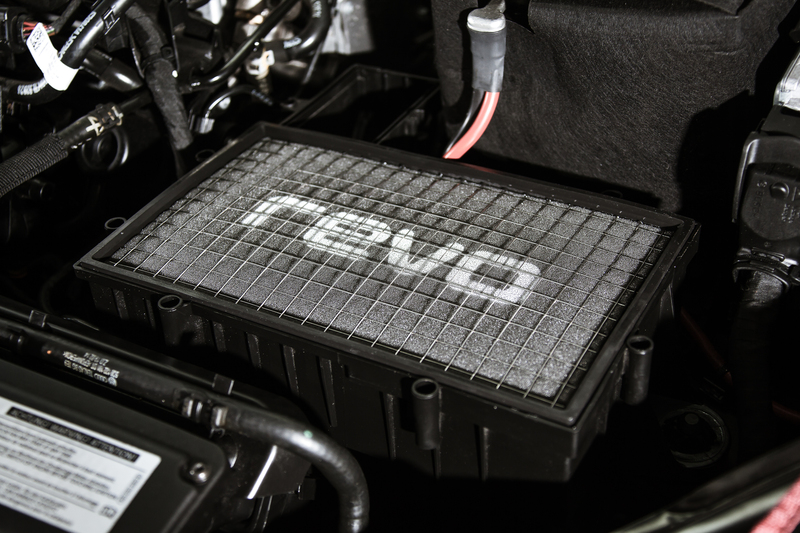 Revo claim an impressive +27HP and 50NM gain with the Intercooler Pipe Upgrade kit. The next step is to replace the front of the Golf and once the final clips and fittings are slotted back into place, it’s time for the software. The differences between the Revo IS38ETR (left) and the standard IS38 (right) look subtle from the outside. The Revo IS38ETR offers significant performance gains over a stock IS38. It comes with a new OEM compressor and turbine housings, so it’s a straight swap with no modifications needed. Every weak point of the stock IS38 has been enhanced. The compressor and turbine housings have been CNC re-profiled to match the larger wheels and stronger shaft and as strength is a key factor to the IS38ETR; a replacement back-plate machined from a billet piece offers a greater resistance to warping. The larger bearing housing has also been upgraded to make room for a bespoke bearing system, incorporating a reinforced thrust bearing. 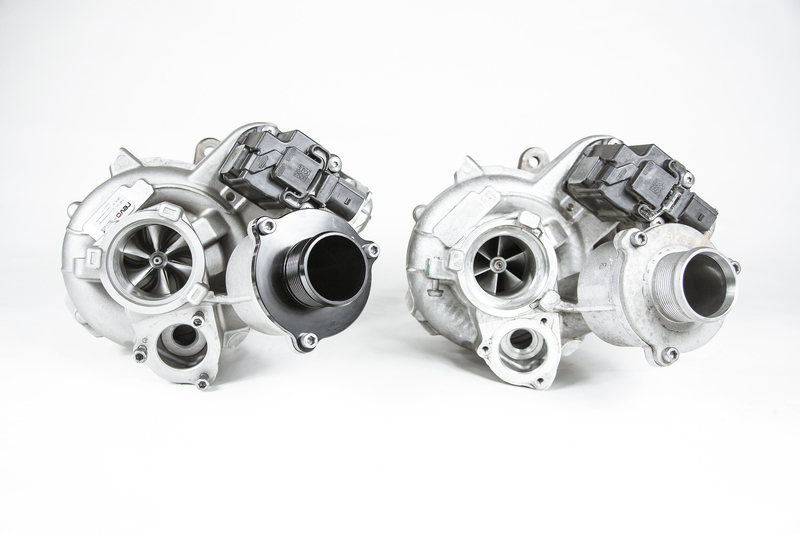 Precision balanced to levels above the OEM specification reduces vibration to the lowest possible level and improves performance and reliability of the turbocharger. The IS38ETR is able to flow 40% more air than a stock IS38 unit. The stronger construction of the compressor wheel (machined from solid billet aluminium), features a slimmer nose, hub and back design along with thinner longer blades and tapered tips. This lightweight construction provides low inertia, which in turn reduces spool time increasing performance. The precisely engineered turbine wheel and shaft provide sufficient power to the compressor, converting the engine exhaust gas into mechanical energy to drive the compressor, without the need to cut back blades or compromise efficiency. Incorporating a larger diameter shaft provides increased strength and durability at high power levels. The integrated recirculation valve is basically a blow-off valve integrated into the compressor housing. 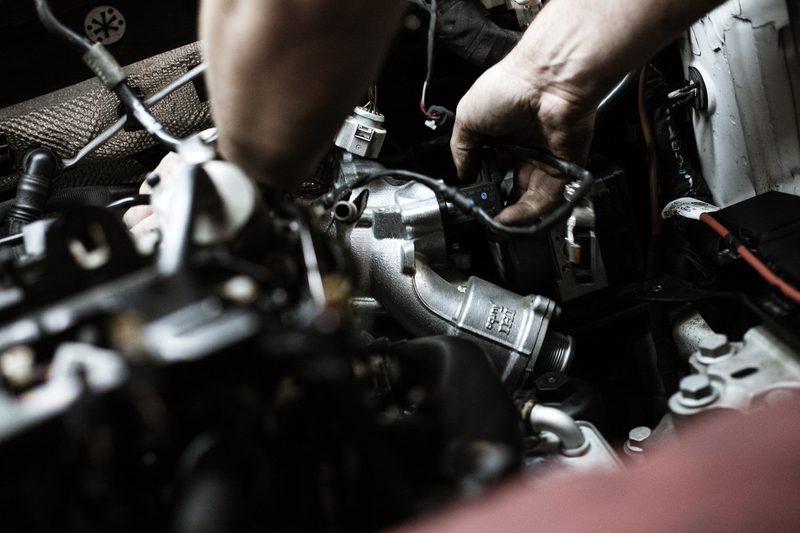 When the throttle valve is closed and the pressure in the inlet drops, the valve opens, and air from the discharge side of the compressor is diverted back into the inlet of the compressor. This helps to avoid the compressor going into surge. The turbo muffler-delete offers a high quality, single-piece replacement for the OEM part, which allows for smoother uninterrupted airflow, increasing throttle response and providing improved turbo acoustics. 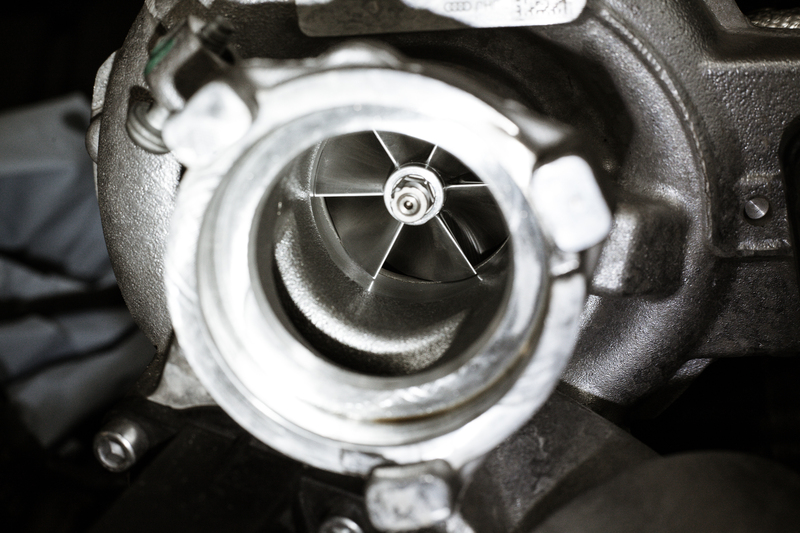 Its single-piece design allows air a more direct path when exiting the turbo, smoothing flow, to offer enhanced throttle and boost response. This part comes complete with a high-temperature gasket to ensure a secure seal when installed. Revo’s goal with their ECU Software was to enable the IS38ETR to be fitted without any loss of reliability or drivability. It had to work on a stock engine without the need for forged internals. To achieve this, they spent two years testing the set-up ensuring the kit carried out thousands of miles worldwide. The software and hardware has been refined with the result that additional features were added such as cold start protection and turbo heat management. 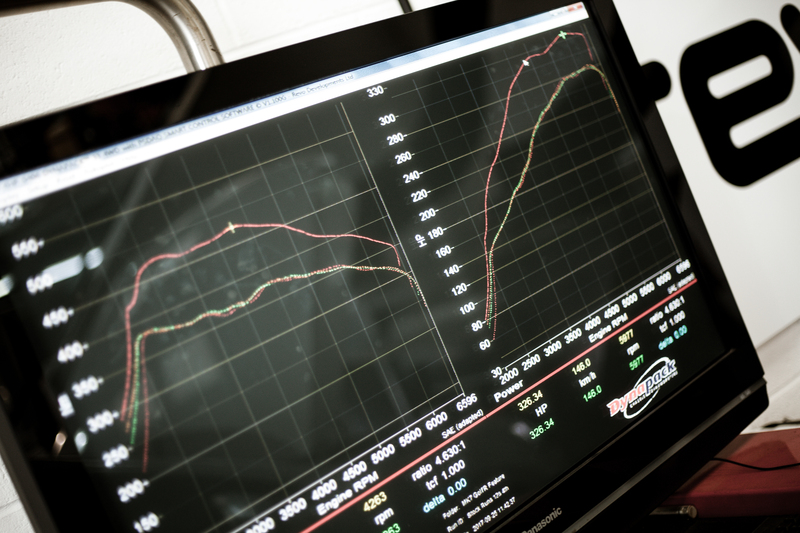 Revo’s TCU Software has been calibrated to work specifically for their IS38ETR turbo. The DQ250 direct shift gearbox (DSG) works well as standard, but once you start increasing the power, the factory shift points do not allow you to make full use of the extra performance potential. In simple terms this means quicker gear changes and extended rev ranges. The TCU software delivers improved response and optimised shift points, but maintains the characteristics of Drive and Sports mode, handy for day-to-day driving. But in Manual mode, things get more interesting. With the auto kick-down feature disabled, you can select the gear you want for a much more involving drive (although auto upshift remains to protect the engine). Dynamic Launch Control is a very neat feature that allows you to launch at various different RPMs, depending on throttle position – ideal for getting the best 0-60mph times. Clutch pressures have also been optimised to deal with the additional power which means no requirement for an uprated clutch pack. They say the proof of the pudding is in the eating; well in this case, it’s in the driving. After spending an afternoon with the Golf 7R, I can tell you that Revo’s IS38ETR turbo package is seriously impressive. It’s savagely quick in the first three gears, delivering ‘kick in the kidneys’ acceleration, and rapid-fire DSG changes. In manual mode, the abilities of this R appear almost limitless. Which I was kind of prepared for. What I wasn’t ready for was the way it seems to keep building power. It feels relentless, like it doesn’t want to stop, and I quickly found myself getting close to the limits of my own ability. On a twisty and bumpy B-road, I was able to make frankly indecent progress. Launch control in a stock Golf R is pretty impressive, but if you haven’t experienced Revo’s Dynamic launch control feature, let me tell you it’s a game changer. With an extra 200bhp to play with, and the option to launch at different RPMs, it’s ridiculous. Revo has achieved consistent 0-60s in 3.2secs, which is super car quick. The Revo IS38ETR package not only transforms the Golf R into an extremely fast car, but it does so without compromising drivability. It’s one thing to create a quick car, but quite another to do so while maintaining its original character. And aside from a smidge of additional vibration from the uprated engine mounts (recommended, but not essential) this Golf R behaves like a stock model. It’s civilised and refined around town, but when you want to go and play, it comes alive. In a nutshell, the Revo IS38ETR turbo package completely transforms the driving experience of the Golf 7R. And don’t forget that this setup will fit all of the other EA888 Gen3-equipped cars listed.